For Event #9, we decided to donate $100 to the St James Music Academy. 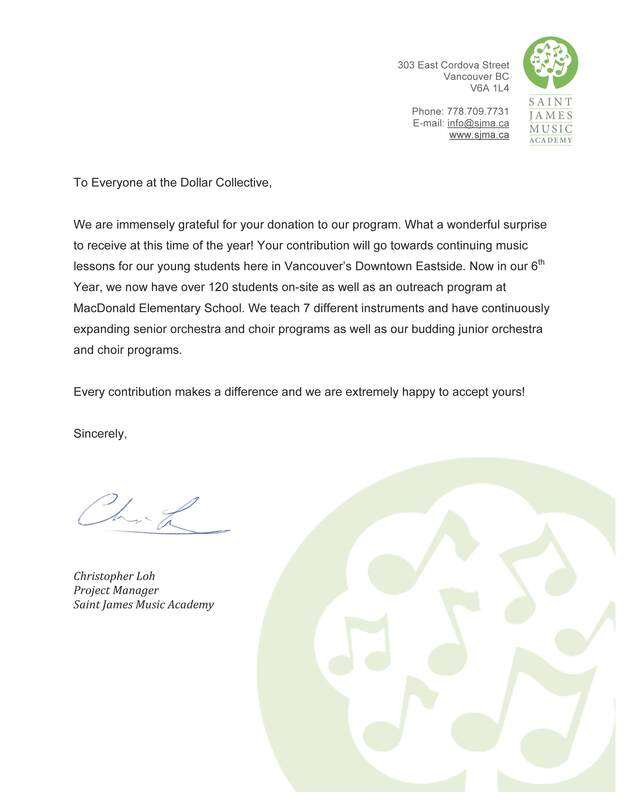 SJMA is a music school in the Downtown Eastside that offers free music education to low income families. All musical instruments, lessons, classes are provided for these kids free of charge, giving them the opportunity to discover and express themselves through music. A big shout out to Heather Beatty for organizing this event!